Long looms like this can be more compact than the round ones. They also let you knit so that the same pattern shows on both the front and back. Although the knitting loom has been around for a very long time, it recently has had a resurgence in popularity. A knitting loom is usually a round shaped frame or a long board with pegs on it. Someone knits with it by wrapping yarn around the pegs and, using a hook, pulling a loop of yarn over another loop. Technically, a knitting loom is not really a loom at all, as a loom is used for weaving and not knitting. But the term caught on and other terms for them, such as a knitting wheel, aren't used as often. Many people that are new to knitting find knitting looms easier to learn and use over knitting needles. And with the growing popularity of knitting looms the amount of tutorials and instructions for projects that are available grow too. A handful of books are available for purchase. But there are also a lot of projects available on the web that can be found on sites that sell looms, personal blogs and websites and even on youtube. And the great thing is many of these projects on the Internet are free. So what can be made with a knitting loom? 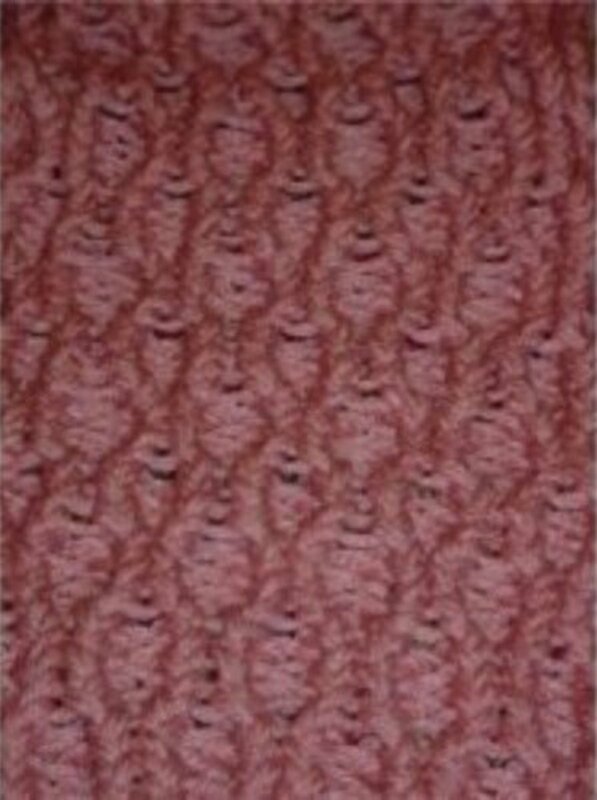 Scarves and hats are among the most commonly items made with a knitting loom, especially amongst beginners. But other projects include mittens, socks, purses, shawls, dish cloths, baby blankets, stuffed animals (also known as amigurumi), leg warmers and more. 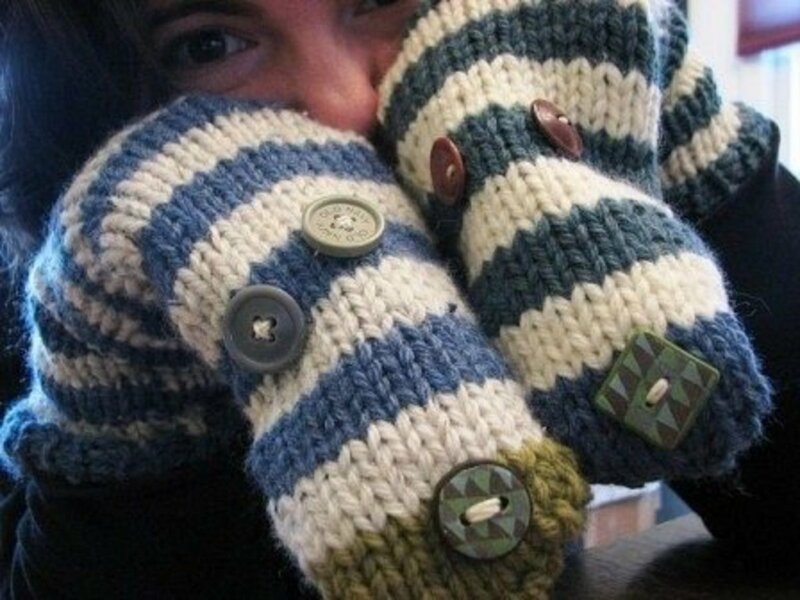 Certain items made on a knitting loom can be made so quickly that they are popular to make for charity such as caps for someone with cancer or hats or gloves or fingerless mittens for the homeless in cold weather. 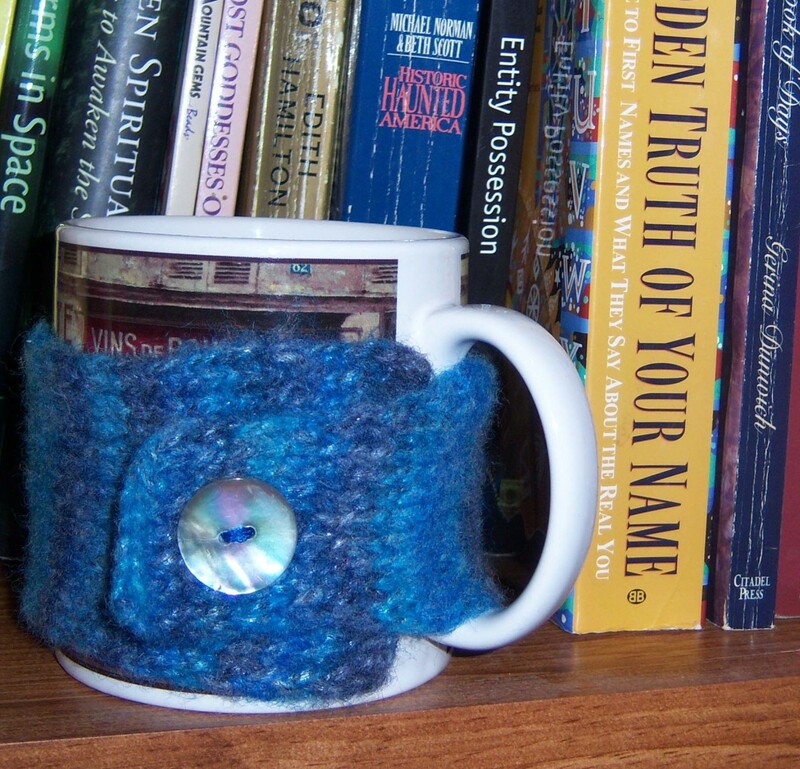 The only real limit as to what can be made with a knitting loom is ones creativity. The smaller metal pegs on this adjustable knitting board loom makes for a smaller gauge on your knitting projects. But may be a bit more difficult for beginners to use. The two basic types of knitting looms are round looms (also called circle looms and knitting wheels) and long looms (also called rake looms or knitting boards). But other kinds exist as well, including the unusual “S” shaped knitting looms that are made for making afghans. 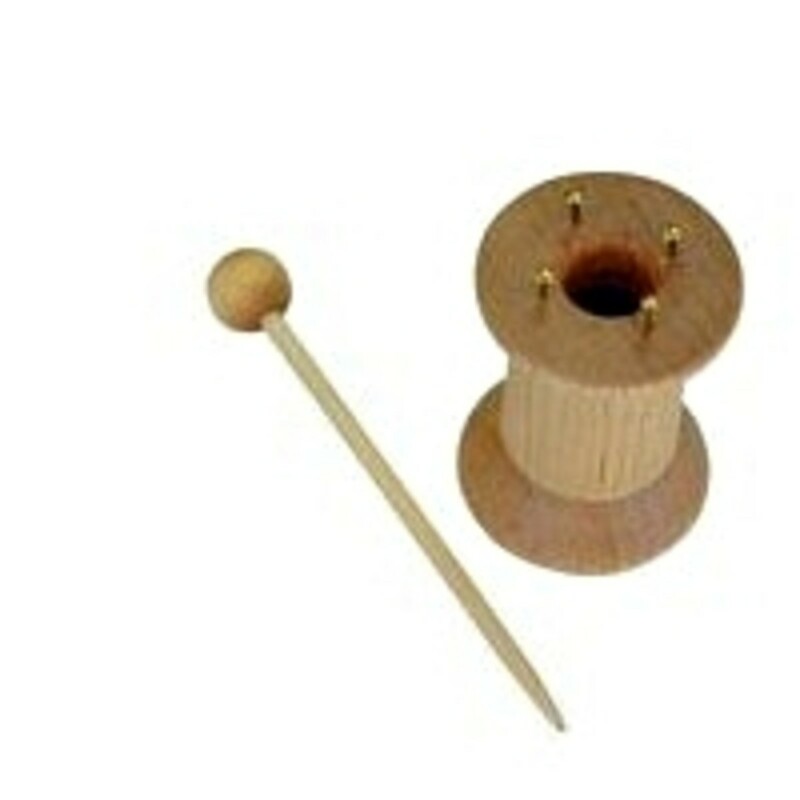 Round looms are often used to make tube shapes that can be made into socks, mittens, hats, etc. But they can also be used to make flat panels that can be made into dishcloths, baby blankets, scarves and more. A double sided long or rake loom can be used to knit a fabric that looks the same on both sides. These are useful for making items such as scarves. Some looms are adjustable in size, giving them versatility in making a wide range of different sized items such as socks or mittens. One of the most common and popular brands of knitting looms is Knifty Knitter, which is made by Provo Craft. These brightly colored, hard plastic knitting looms are fairly inexpensive and make a great choice for the beginner. Another brand is In The Attic and their looms are made of brightly colored plastic as well, but their plastic looms have a flexibility to them that many like. Knitting looms also can be made of wood, such as those available from DA Looms. If you are more adventurous you could even make your own knitting loom. Many handmade knitting looms may be easier to make than you might think. A "tin can" knitting loom is among one of the surprisingly easy projects out there for making your own loom. As the name implies a tin can is used for the frame and nails or cotter pins are used for the pegs, while something as simple as duct tape can hold the pegs in place. Now that I've gone over what knitting looms are, what kinds there are, and what you can make with them, you may be wondering how to actually use them. There are so many great resources for how to use knitting looms that can explain it better than I, so I won't explain it myself here. A lot of knitting looms have basic instructions that come with them. The stores that sell them often have little pamphlets and instructional project books as well. Or you can order them online. But my favorite resources are the many online websites, blogs, and videos. I've included some links to many helpful websites below. But there are hundreds more for those who are willing to search for them. Some knitting loom patterns both for free and for purchase. Instructions, patterns, information & more for Knifty Knitter and other round and rectangle looms. A website on loom knitting. 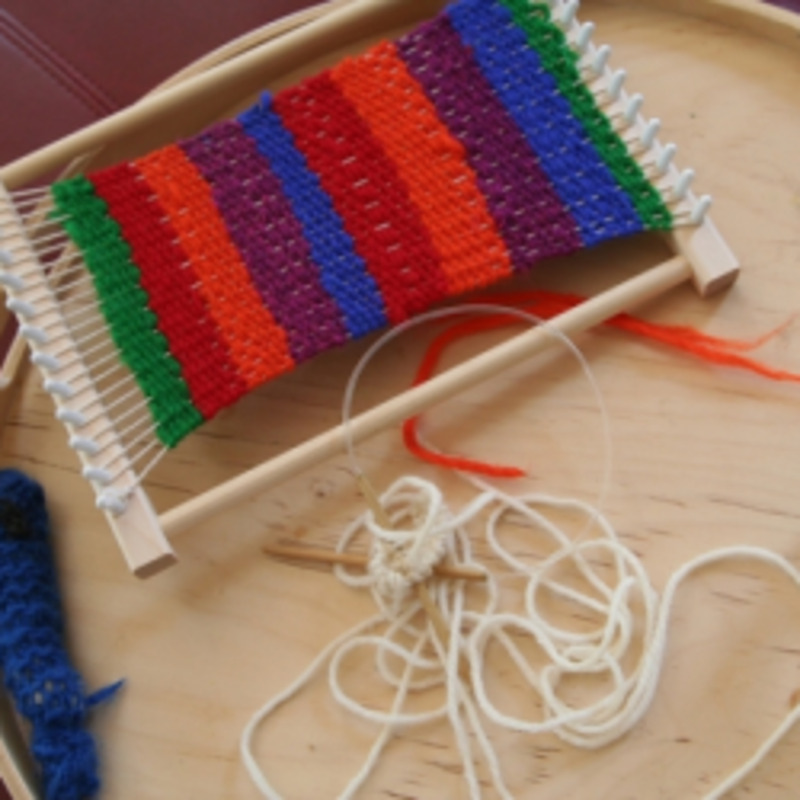 A page with links to a handful of ways making your own knitting looms. 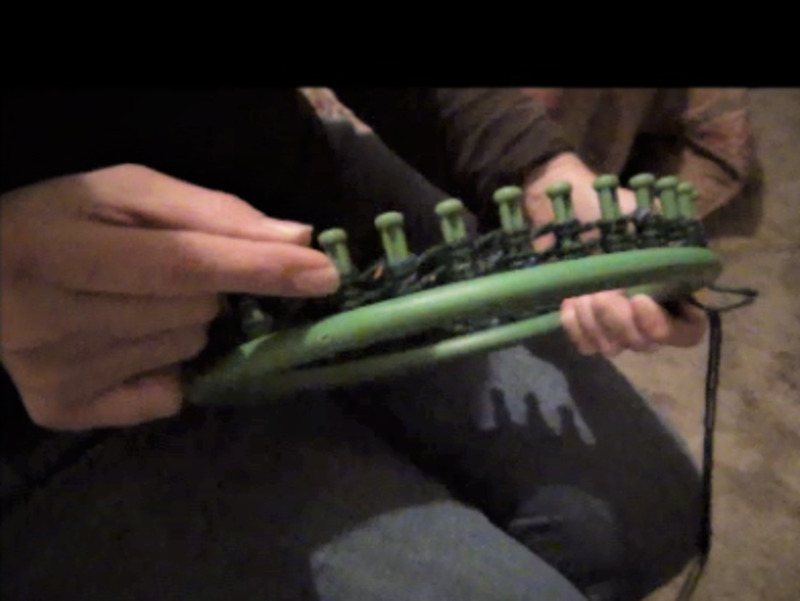 One version of how to make A Tin Can Knitting Loom. This list includes some of the most popular types of projects for beginning loom knitters that are easy to make. I can't say for sure, but I would think it would depend on the project. I believe some could be done while others would not, and some may just need minor adapting. Unless you are doing something like a figure 8 knit, where the yarn sort of goes across the gap of both sides of the straight loom, then I think you should be able to do the project on either a straight loom or round loom. They are basically the exact same thing, just the straight loom is more compact. I hope that makes sense and helps some. Hi ... I have a weird question ... Can u use instructions for straight loom on a round loom? I hav a book on loom ptojects ... The ones that used straight looms, can those projects, using the same instructions made on round loom ? I'm waiting for my Knifty Knitter loom to arrive..
Cant wait to start learning, make a change from needles! This is something I've been wondering about. I'll be bookmarking this one!